Oct. 11 — Every year thousands of theme park patrons are injured on amusement park rides, prompting emergency room visits and probing calls to personal injury lawyers. After the dust settles, a litigation process unfolds behind the scenes that highlights the recreation industry’s concern that adverse publicity may be more damaging than the suits themselves. In this article, part 3 of a 4-part series examining amusement park ride safety and liability, we explore litigation, including the crucial role played by liability releases and assumption of risk. In part 4, we break down typical injury suits and discuss why many cases result in confidential settlements. Can Patrons Assume the Risk of Harm? Whether patrons assume the risk of harm is a crucial and hotly disputed issue in amusement park ride cases. Adult patrons can assume the risk by statute or case law, or release defendants from most liability through a contractual waiver. Assumption of risk, in one form or another, is probably the doctrine “most often relied upon by defendants,” law professor Christopher J. Robinette of the Widener University Commonwealth Law School in Harrisburg, Pa., told Bloomberg BNA. Robinette has managed a blog on amusement park rides and safety. Most jurisdictions still recognize primary assumption of risk as a defense to recreation/amusement litigation, defense attorney Michael J. LeVangie, with the LeVangie Law Group in Sacramento, Calif., told Bloomberg BNA. Part 3 and 4: How do lawsuits over amusement park rides fare, and what role do liability releases and assumption of the risk play? In those states, courts enforce the principle that “where there are risks of injury inherent in an activity there should be no basis for a claim against the provider of that amusement or recreation opportunity,” LeVangie said. But these aren’t “blanket defenses,” plaintiffs’ attorney Robert A. Clifford, founder and senior partner at Clifford Law Offices in Chicago, told Bloomberg BNA. Children generally don’t have the legal capacity to enter into waiver contracts, and parents can’t waive the rights of their minor children, Professor James Kozlowksi of George Mason University’s School of Recreation, Health and Tourism in Manassas, Va., told Bloomberg BNA. Every jurisdiction has “somewhat differing requirements for an effective/enforceable express waiver of liability,” LeVangie said. “What may be considered assumption of risk in one state that is pro-business may not be considered assumption of risk in states like California that are pro-consumer, with many variations in between,” Clifford added. In states that do enforce liability waivers, a participant can usually waive claims of negligence against the park, but can’t waive claims of gross negligence. That’s true even if the liability release asserts that it waives claims of gross negligence, defense attorney Jordan Lipp, a partner at Davis, Graham & Stubbs in Denver, told Bloomberg BNA. This means the participant must subjectively appreciate a danger and show a willingness to proceed anyway. In the case of theme park thrill rides, Kozlowski said he doubts if any participant would necessarily be able to appreciate and accept the risk of injury associated with poor supervision, faulty safety equipment, mechanical failure or operator error. “Even if an adult is injured or killed, if a ride was negligently maintained or safety inspections were not conducted, a rider cannot have assumed the risk because there was no way of knowing that information,” Clifford said. But Michael Talve told Bloomberg BNA that waivers and assumption of risk didn’t come into play in two recent cases in which his group provided expert witness services. Talve is managing director of The Expert Institute in New York, which helps litigators find expert witnesses. One case involved a couple on a water slide at an amusement park that offered “passenger tubes” with a weight limit of 400 pounds. But the husband weighed more than 350 pounds by himself, and the combined weight of the couple was well above the ride’s weight limit. “Tragically, they were allowed on the water slide,” Talve said. The teenage attendant at the top of the water slide made no effort to deter these folks from going on the slide together, and the husband sustained a neck fracture and now is quadriplegic. The second case involved a young child on a field trip to an amusement park with large roller coasters. The child wasn’t tall enough, but peers encouraged her to “sneak past the attendant,” he said. “The child made it past the unsuspecting attendant and was ejected from the roller coaster, sustaining a range of life-altering injuries,” Talve said. In the case involving the overweight couple, the pair were “never warned against enjoying the attraction, since there was no signage listing the weight limit recommended by the manufacturer of the water slide,” Talve said. Likewise, in the instance of the young girl who wasn’t tall enough to ride the roller coaster, the attendant of the ride was expected to provide a certain level of supervision but “clearly failed to do so,” he said. Plaintiffs’ attorney Daniel G. Kagan, with Berman & Simmons in Lewiston, Maine, went a step further, saying waiver releases raise important public policy concerns that should limit their use. Let’s say a waiver, release or disclaimer bars your child’s recovery after a ride fails due to negligence and injures the child, Kagan told Bloomberg BNA. “These are important questions that come up in many cases involving harm in events to which the public is invited,’’ Kagan said. Some states, including Maine, have curtailed the traditional assumption of risk doctrine. In those cases, most jurisdictions look to what’s known as comparative fault or comparative negligence, Kagan said. This judicial doctrine often comes into play if a plaintiff has consumed alcohol or is otherwise impaired, and the defendant alleges that the impairment clouded the plaintiff’s judgment. Lipp said that the comparative fault of the plaintiff is a key issue in patron-directed rides (like alpine slides or bumper cars), but it is rarely a defense in operator-directed rides like roller coasters. That said, the comparative fault of the plaintiff does occasionally arise in patron-directed rides, he said. “I dealt with a zip line case where the riders claimed to be under the zip line’s weight limit, when they were actually significantly over it. In that case, comparative fault was an issue,” he said. In states where the doctrine comes into play, Kagan said plaintiffs’ attorneys can still succeed at trial by framing the question this way for jurors: In order to use the ride or attraction, did the plaintiff have to yield most or all control over his fate? On a Ferris wheel, for example, the rider just sits, Kagan says. “So long as she doesn’t unfasten her restraint device or belt, it would be hard to blame her if a mechanical failure causes her to fall off the ride,’’ he said. “On the other hand, someone injured on a bumper car attraction would likely face fair scrutiny of his own conduct, since he controls where the bumper car goes and what it hits, to at least some degree,” Kagan said. 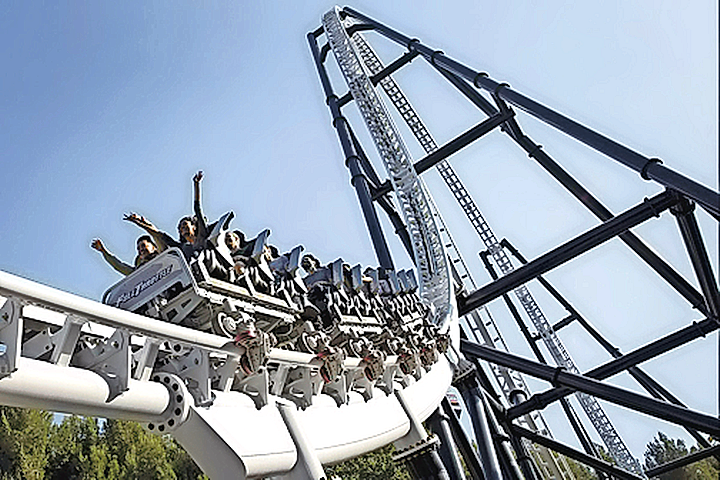 When people are hurt on a ride—whether patron-directed or operator-directed—injury claims are typically filed under tort law in negligence, premises liability or product liability against amusement parks. Negligence claims often assert ride attendant error. Amusement parks, from small-time operations to those run by industry giants Walt Disney, Six Flags and Universal Parks, are responsible for the actions of their employees, Clifford said. “These defendants may be negligent in not being reasonably careful or in failing to take reasonable safety precautions including the posting of signs to inform the users of the risks involved,” Clifford said. Generally, negligence is the standard by which most lawyers sue in state court on behalf of plaintiffs, Clifford said. Negligence claims allow damages for personal injury “as well as lost wages, medical bills and future medical care, pain and suffering and perhaps even emotional distress caused by a horrific incident,” he said. In patron-directed rides, sometimes one patron sues another patron, often in conjunction with a lawsuit against the park, Lipp, the defense attorney, said. Cases of negligent supervision, “where someone who had no place being on a given ride was allowed on and subsequently sustained a severe injury,” are increasingly common, Talve said. The legal principles governing negligence liability are well settled and generally apply to a wide range of recreational injuries, including those sustained in theme parks or carnival rides, Kozlowksi said. Although most claims are based on negligence, sometimes these claims are cast as product liability cases—a ride operator is sued directly for a failed ride or an alleged malfunction, or the operator brings in the ride supplier for its failure to provide a safe product, plaintiffs’ attorney Kagan said. Even “one faulty part or the faulty design of a ride can cause serious injury or death,” Clifford said. When both the amusement park and the ride manufacturer are named as co-defendants, it’s common to see side litigation between the park and the manufacturer. “The claims between the park and the manufacturer are often governed by contract, as the park usually has a contract with the ride manufacturer,” Lipp said. Contract law claims also arise from issues related to insurance, indemnification or independent contractors, Kozlowski said. Premises liability comes into play if “the park itself is unsafe for its users,” Clifford said. “Amusement park owners must exercise reasonable care in the construction, management and maintenance of all grounds and the facilities for visitors,” he said. If discovery indicates that the amusement park or the ride manufacturer were made aware of a hazard, but didn’t take steps or precautions to make the ride safe, the dollar amounts associated with these claims may end up with an extra zero added to them, he said. Ahead in Part 4, we dig deeper into amusement park ride lawsuits, and ask the crucial question: To settle or not to settle?